Making payments online has become the norm, from paying your energy bill to shopping for the holidays. We’ve adopted it across nearly every form of financial transaction and are accustomed to companies requesting personal information like our name, mailing address, phone number, email, and credit card number upon checkout. With this level of ubiquity, however, comes the danger of complacency. Many of us have become enamored with the convenience of online payments and are all too quick to provide sensitive information to simplify the payment process. This feeling of comfort with online transactions all too often leads to lazy mistakes that can open the doors to phishing scams and identity theft. To prevent your data from falling into the wrong hands, we’ve compiled six safety precautions to follow when paying for products or services online and five steps to take in the event of a data breach. Most credit card companies offer credit monitoring services that can help you track fraud or identity theft. Take advantage of these services while also manually reviewing your credit card reports on a monthly basis for small, inconspicuous charges that may go unnoticed by a service. Convenience comes with a price and in this case, the price isn’t worth it. 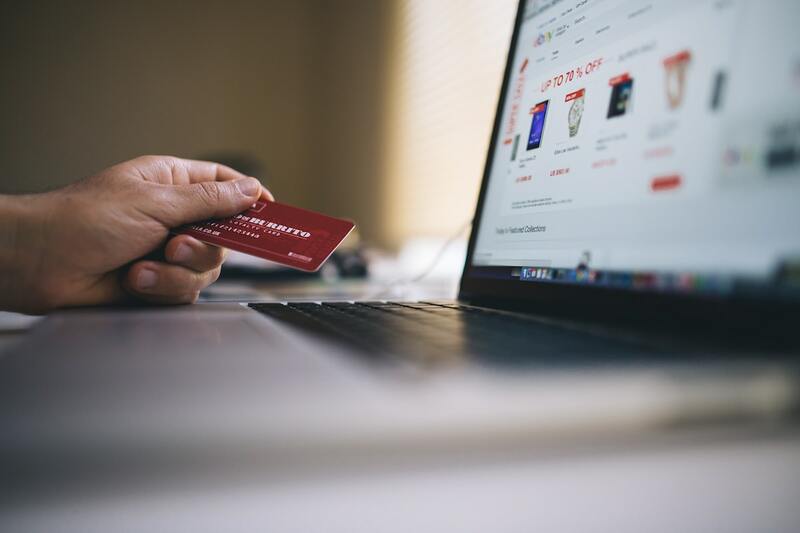 Most ecommerce sites now offer the option to save your credit card info to speed up future purchases, but if that site is hacked, your information is also compromised. Take the extra minute to always manually input your payment information for maximum security. If you don’t always have your credit card handy, use a secure online payment system like PayPal or store your credit card information in a secure, encrypted data vault like LastPass. Public Wi-Fi is open to the general public and this includes cyber criminals. Either wait until you’re connected to a private network or use your cellular network. Protect personal information that might allow cyber criminals to hack your credit card or checking accounts by always utilizing best password practices. This means using a unique password for every account and creating long passphrases that are easy for you to remember but nearly impossible for anyone else to crack. It’s also best not to save your usernames and passwords through Chrome or other browsers. Use a secure password manager to store sensitive information that you might otherwise forget. Now that search engines like Google are lowering the ranking of sites with an HTTP domain, the majority of websites that require the entry of any personal information use HTTPS. This should be the standard, but you should always double check that the website address includes this extra measure of security. Chrome also now notifies users when a website isn’t using HTTPS to help protect its users. If your credit card is hacked as a result of a data breach, always cancel your compromised account to prevent any additional purchases. Review your credit card report and notify your credit card company of fraudulent charges so they can be reversed. Update any passwords associated with your credit card number or the breached account. If you use the same password for any other accounts, don’t forget to also change those, and this time, create a unique password for each! This is another important step if other information besides your credit card number was breached. A fraud alert is free and remains active for a minimum of 90 days. To set this up for your account, contact one of the three major credit bureaus (refer to the links provided in tip #4 below) and request a fraud alert. Whichever credit bureau you file with is also required to share the alert with other bureaus so it’s only necessary to contact one. If you have reason to suspect that you’re a victim of identity theft, freezing your credit files prevents any new credit cards from being opened in your name. The 2017 Equifax breach is one example of a scenario where enough sensitive information was compromised to warrant this action. To do this, contact each of the credit three major bureaus directly (see links below). They will provide you with a pin for when you need to unfreeze the account. This is the final step if you believe someone has used your credit card number, date of birth, social or other personal information. To file an identity theft report, visit www.identitytheft.gov and the site will walk you through the process by asking a series of questions to create a personal recovery plan.